Sarah Spencer has a secret: her real name is Tessa Carson, and to stay alive, she can tell no one the truth about her psychically gifted family and the danger they are running from. As the new girl in the latest of countless schools, she also runs from her attraction to Tristan Walker—after all, she can't even tell him her real name. But Tristan won't be put off by a few secrets. Not even dangerous ones that might rip Tessa from his arms before they even kiss. Wow, just wow. 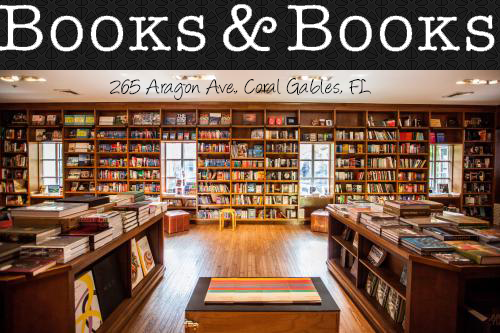 I knew it was going to be a great story since my friend and author of HELLO?, Liza Weimer recommended it, but I had no idea just how amazing it was going to be! I actually got to meet the, Clara, the author at ALA Annual 2017 back in June and she was the sweetest person ever! 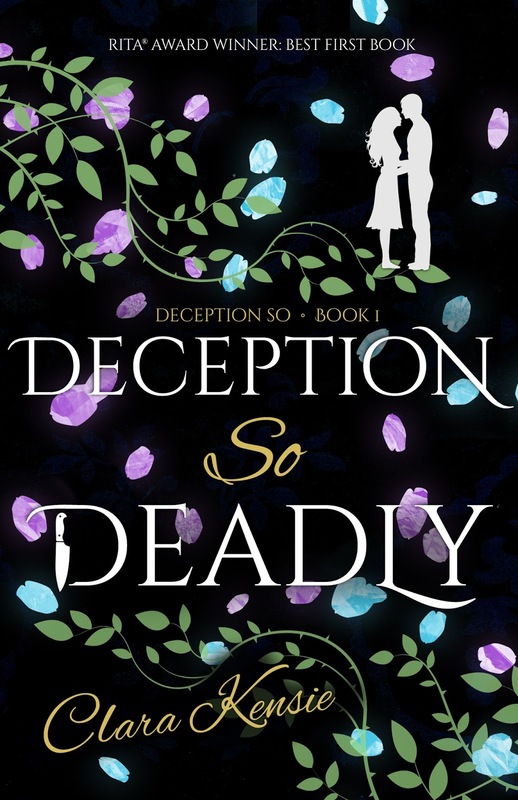 We exchanged information and she said she would email me about the relaunch of Deception So Deadly. Even though I knew I would have to squeeze it in between all my other review books, something inside kept telling me to just read it. So a couple of weeks later, I receive an email from Clara and a eARC of Deception So Deadly. I started it immediately. I could NOT put the book down, well, actually my Kindle. I devoured the book in 2 days and now, a week later, I still can’t stop thinking about it. I need the second book, like YESTERDAY! "My cell phone rang, loud and shrill, shattering the classroom's silence. He found us. He was coming. The teacher scowled, reaching out her puffy hand to confiscate my phone as I slid it open and held it to my ear. Answer on the first ring-that was the rule. One word, my mother's panicked command: 'Run.'" That is how the first chapter of Deception So Deadly starts off. Like, WTF? If that doesn't grab you from the start, I don't know what will. As soon as I read that it was too late, I was hooked! We first meet Tessa Carson, currently known as Sarah Spencer. You see, Tessa and her family are on the run, which you find out within the first 2 pages of the book. I seriously believe that those two pages were what pulled me into the story. I just couldn’t stop reading after that. Because of her and her family’s situation, Tessa and her siblings have had to switch schools constantly. So because of that, Tessa has built a wall so she doesn’t get too close to anyone. I can’t say I blame her. It’s just easier to leave when your heart isn’t breaking every time you have to pack your stuff and leave. 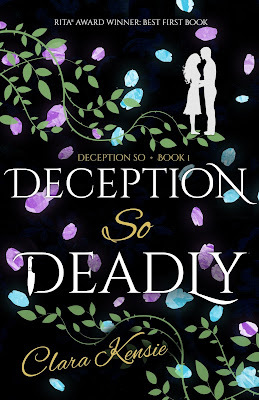 Deception So Deadly is full of action, mystery, romance and a bunch of swoony moments! The chemistry between Tessa and Tristan is super swoony and real. I was rooting for them the whole time. I was completely immersed in the world that Clara had created for us. Just when I thought I had it all figured out, BAM! You realize, trust no one and nothing is what it appears. How chilling! I'm already hooked. This one sounds amazing and has been on my TBR for a while. I hope I enjoy it as much as you did! Brittany! You have to read it! It's REALLY good!